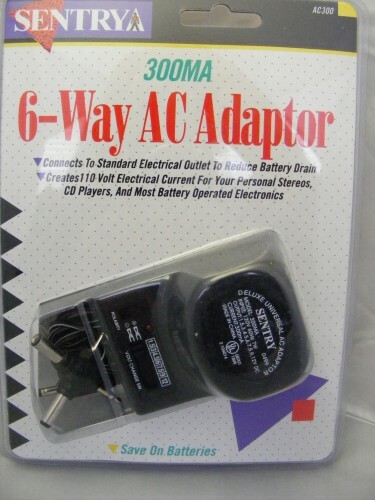 Sentrya 6 Way AC Adapter.. This is new in the Package and it is a MUST if you are using batteries. This will replace you batteries and you can run you device on this adapter. From 1.5 to 12VDC this Adapter comes will all the different hook ups even a 9 volt replacement adapter!! Just plug it in and set the proper voltage and you are all set. Remember you can use this for just about anything that uses batteries so you might want to get more than one to have on hand.